If you ever wondered how a liberal would react when you start to confront them with the truth, look no further then the liberal ideology that lost her cool when Judge Jeanine dared to call her out to her face about what she is suffering from. Whoopi is a terrible person that has done nothing but race bate, now that she is called out for her obvious Trump Derangement Syndrome, she could not handle it and kicked Judge Jeanine off the set. So much for her supposedly not loosing her cool. What we see in this show, the view, is what you see in many of the leftist entertainment, they can attack Trump nonstop, but when you question what they are saying, or worse, bring facts to the table then you face a melt down. In the interview Whoopi claims she never gets emotional, that is just pure nonsense, you bring up Trump that is all she does. What is more, as you can see in the video, she claims that it is Trump bringing on the violence, but I have not seen this, even in his rallies it was the leftist looks trying to scream and disrupt his rallies, the leftist news stations would have a fit when they were evicted out peacefully. There is one case I recall of where they were struck by someone as they were being escorted out, I will admit there was no reason for this. But who was really doing the violence, sure was not as Whoopi says, Trump or his supporters, it was the people that thinks as she does. It is the leftist from Antifa, the resistance, the nuts in college. I recall of seeing people protesting, attacking Trump supporters as they went in to listen to Trump, the fact that they did not return back the violence in kind, to be frank that surprised me. But there is more, it is the left that is harassing people that work for Trump in restaurants, outside their home, they sit at the while house with air horns and speakers to attack Trump and his family, yet Whoopi claims it is Trump that is doing this? This makes as much sense as punching someone in the face, each time you do so then claiming that they are the ones making you do this. No one can make anyone do anything, you do what you chose, just like your reactions are of your own doing. I will end this with a warning, we have seen that Trump supporters are very long suffering, we are not prone to attack others due to their political beliefs, no matter how naive and ignorant they are, that is a persons right, but to continue to blame violence on us, then attacking us, that will stop, or you will find the people do have a limit to what they are willing to tolerate, when that does happen, you liberals will find that while we are not prone to violence, we will not allow it against us to continue much longer. Judge Jeanine came on set to talk about her book, the hosts had no intent on speaking on this, they obviously brought her in to bum-rush her on her support of Trump. I have to say, when I heard that Whoopi spit in her face and told her to get the f#%k out of here, I give Judge Jeanine credit, I prefer not to deal with violence, but you spit on me, you will get backhanded, don’t care whom you are, to me this is the most disrespectful thing you can do to another. Seems Whoopi who screams she is not given to angry and emotional fits, shows the lie she was presenting. 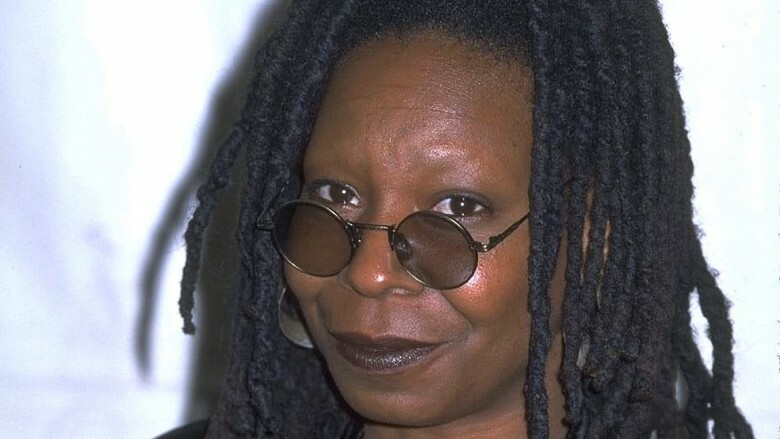 Whoopi is a disgusting waste of humanity, I am saddened that someone I thought was such a good actress is such a vile and angry person within, taints the legacy she leaves behind her.